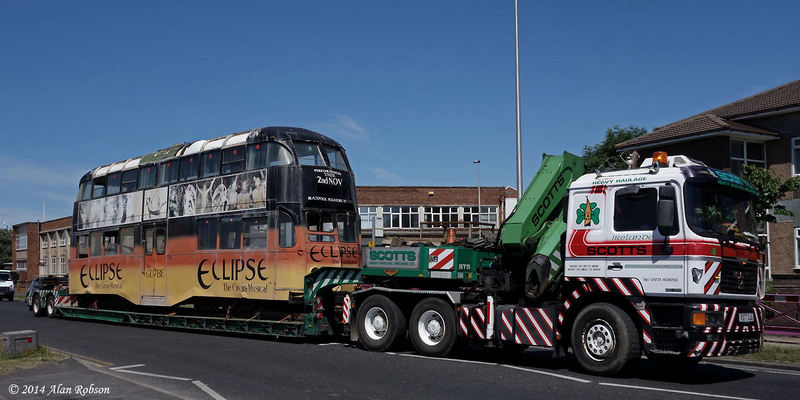 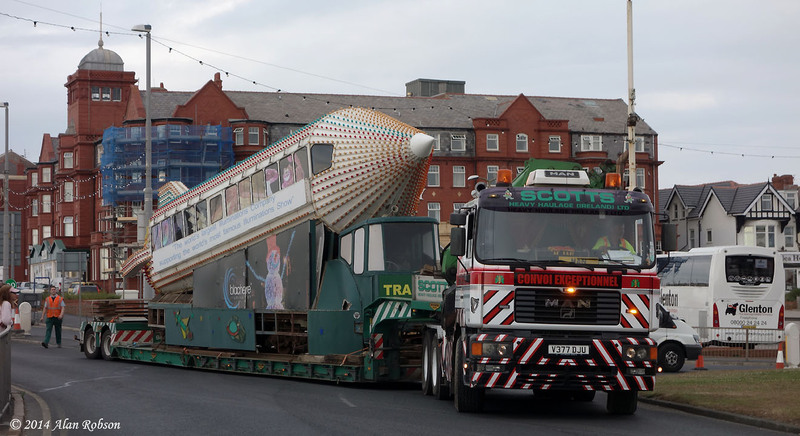 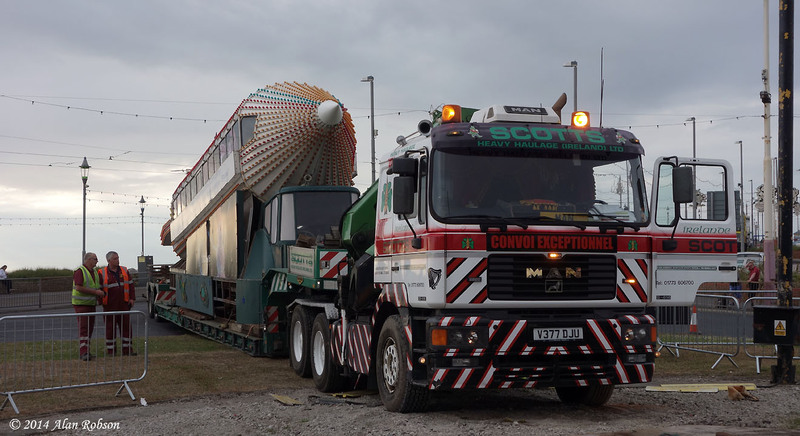 On the evening of 24th June, Scotts Heavy Haulage began the process of recovering the Rocket illuminated tram from the large roundabout at Gynn Square, where it has been sat exposed to the elements for the last two years. 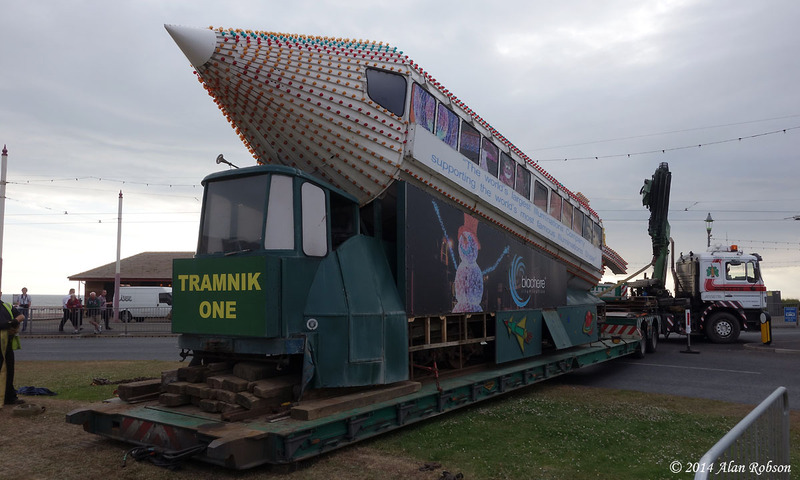 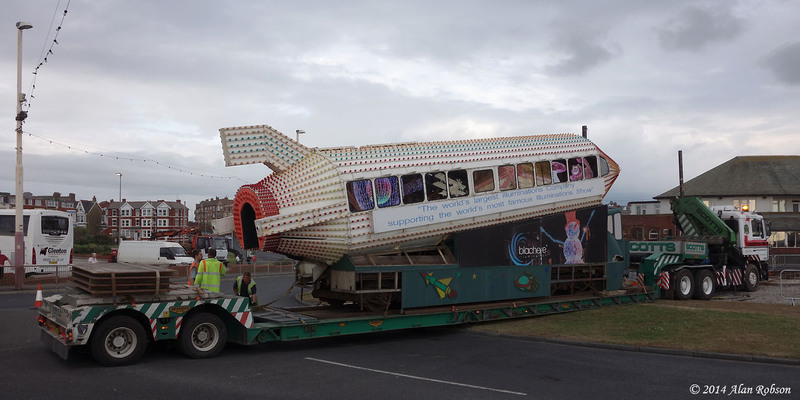 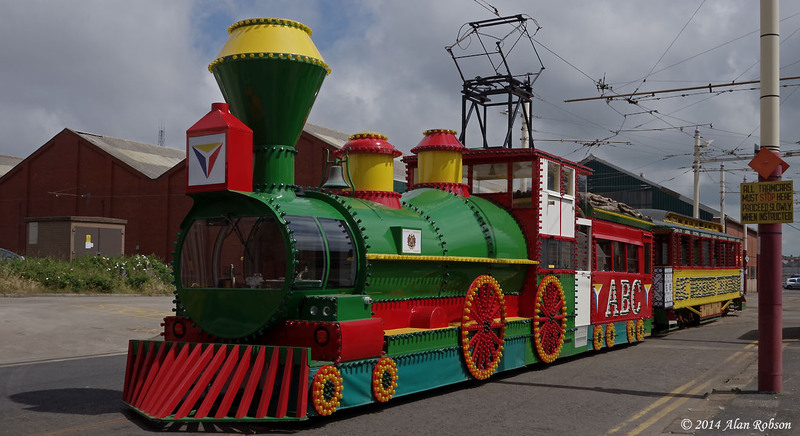 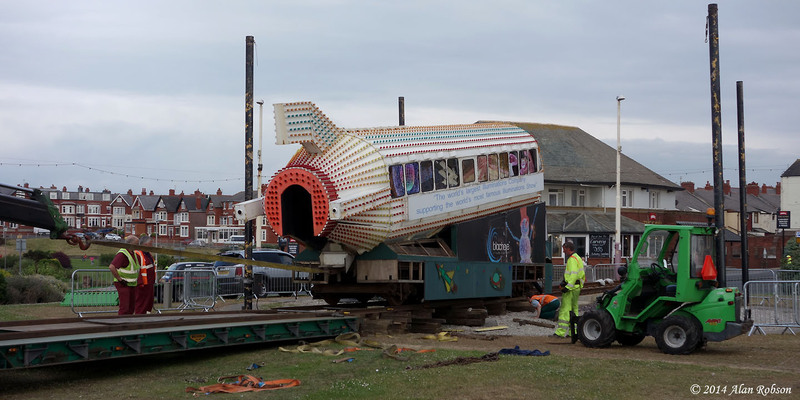 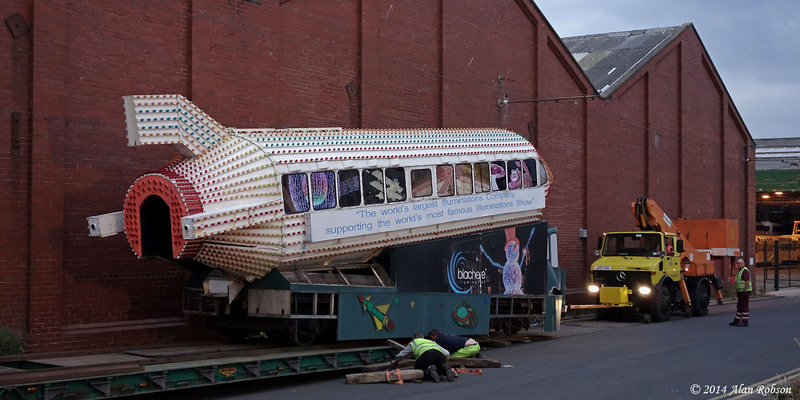 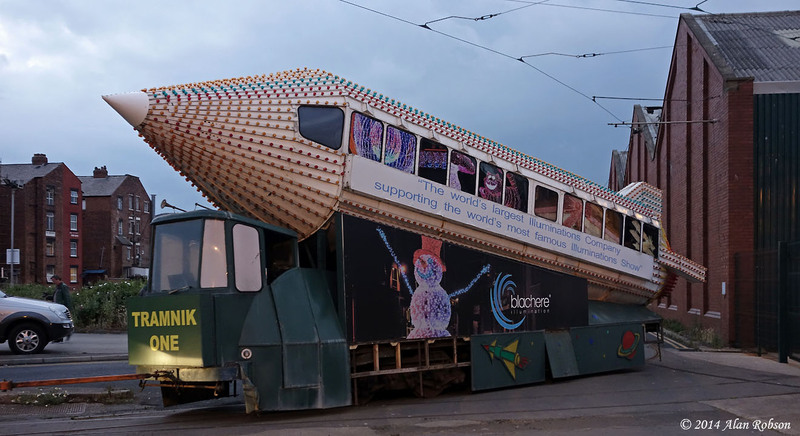 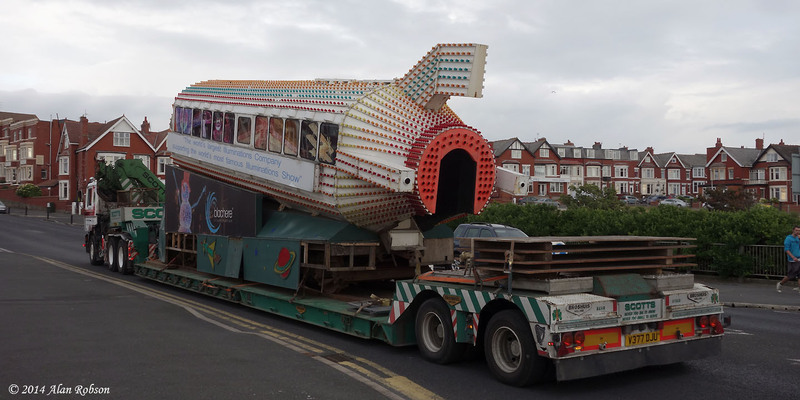 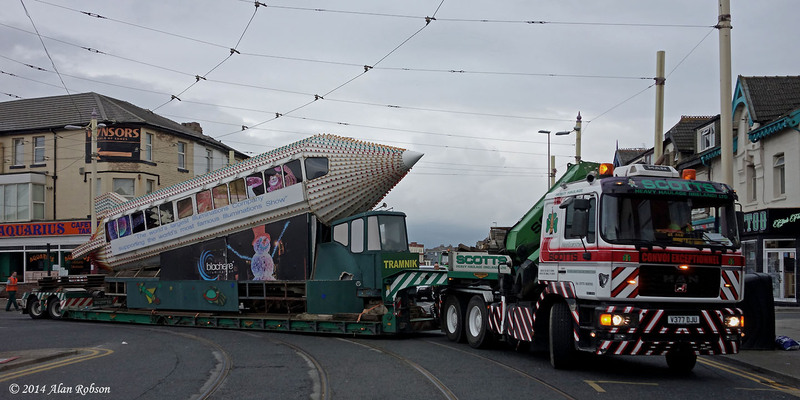 It was in July 2012 that the Rocket first departed from Rigby Road depot, making the short journey to the Blackpool Illuminations Department near the airport where the tram was given a cosmetic makeover with new LED lighting fitted, before being moved onto Gynn Square roundabout for display during the illuminations season. 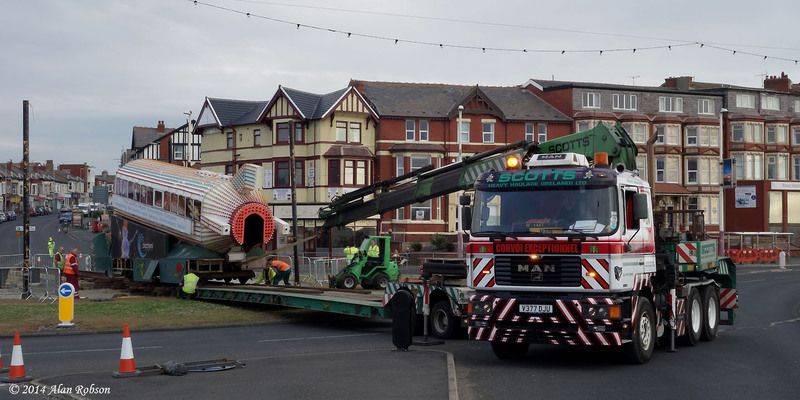 Scotts arrived at Gynn Square just after 6:00 PM on Tuesday evening, and constructed the rail ramp, loaded the tram and departed again all in the space of two hours, beginning the journey back to Rigby Road at 8:10 PM. 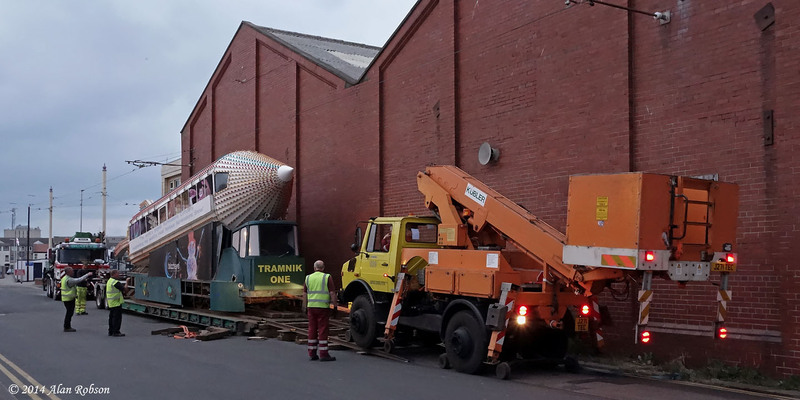 Once parked up in Blundell Street, the unloading took place with the aid of Unimog 939 which finally propelled the Rocket into the depot confines at 10:00 PM. 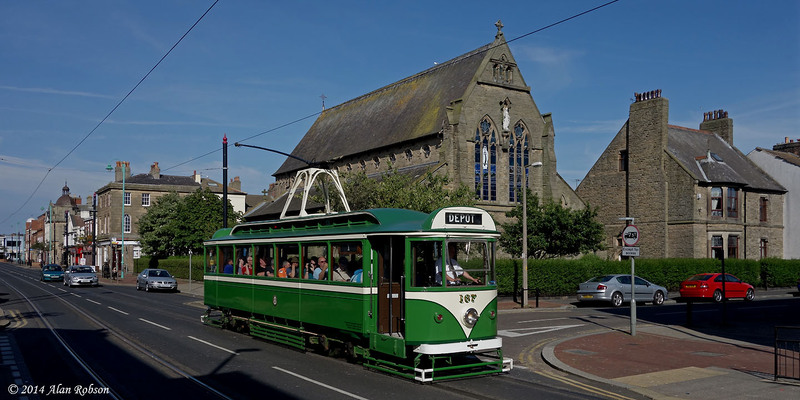 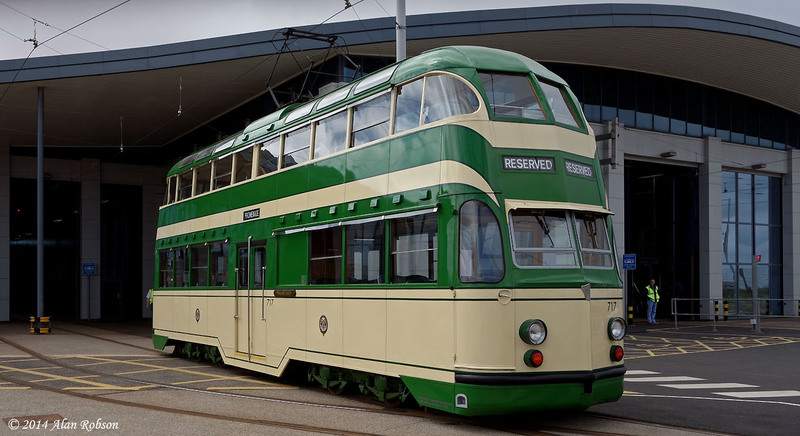 The return of the Rocket now completes the planned Heritage Tram collection at Rigby Road, and brings to a conclusion the Lancastrian Transport Trust's involvement with tramcar preservation. 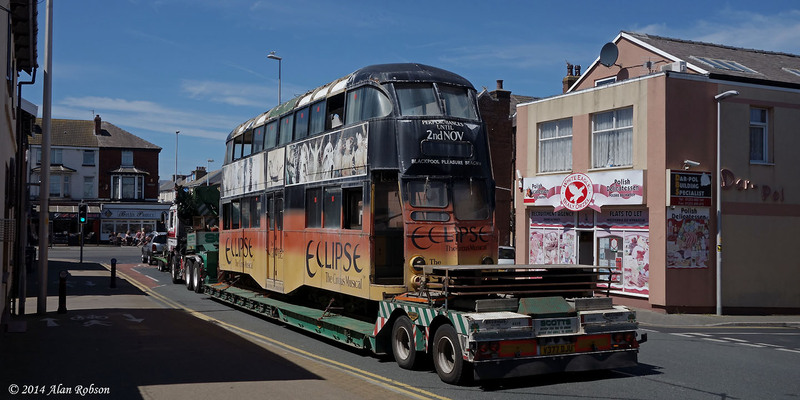 The Rocket being pulled round the curve from Blundell Street into Hopton Road by Unimog 939. 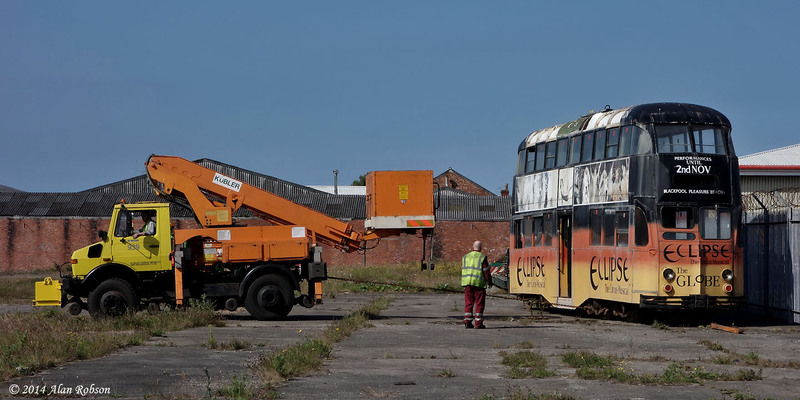 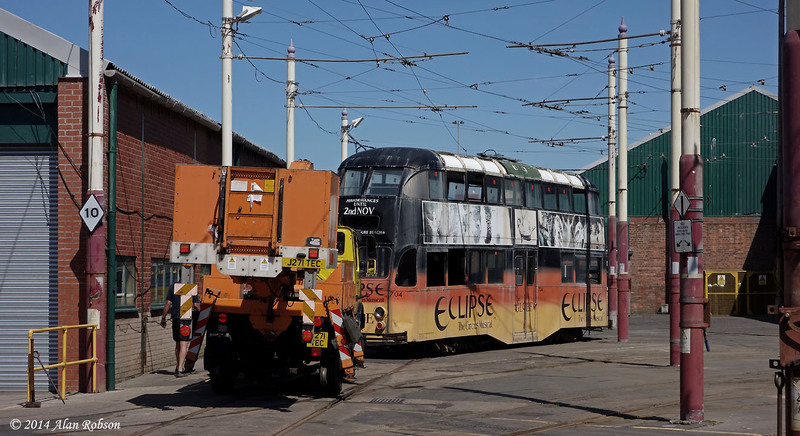 The last tram of the former Lancastrian Transport Trust collection has been returned to secure undercover accommodation at Rigby Road depot, where hopefully one day it will become an active member of the heritage fleet. 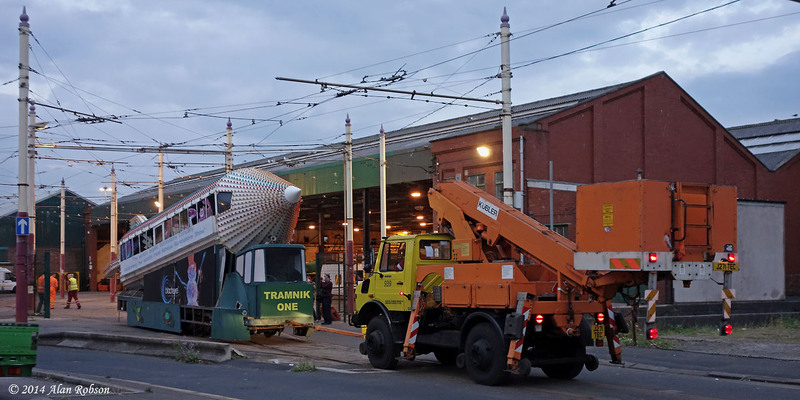 Balloon 704 has been purchased by a mystery owner, whose wish is that the tram eventually be restored to its original 1930s open top "Luxury Dreanought" configuration. 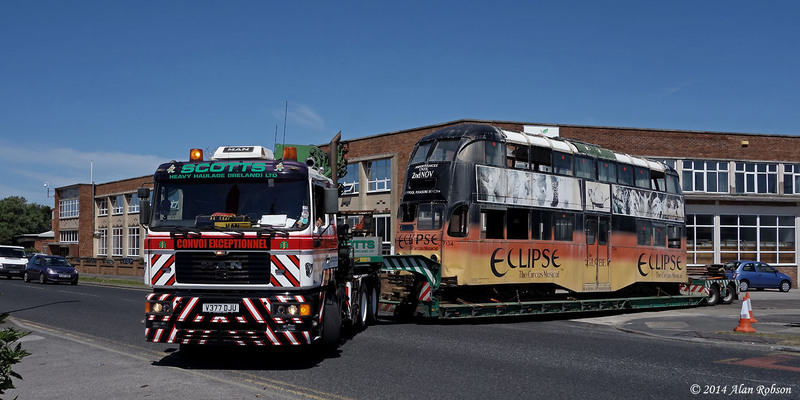 Scotts Heavy Haulage collected Balloon 704 from open storage in Marton, where it has been sat exposed to the elements since September 2012, after the LTT tram collection were evicted from Rigby Road depot. 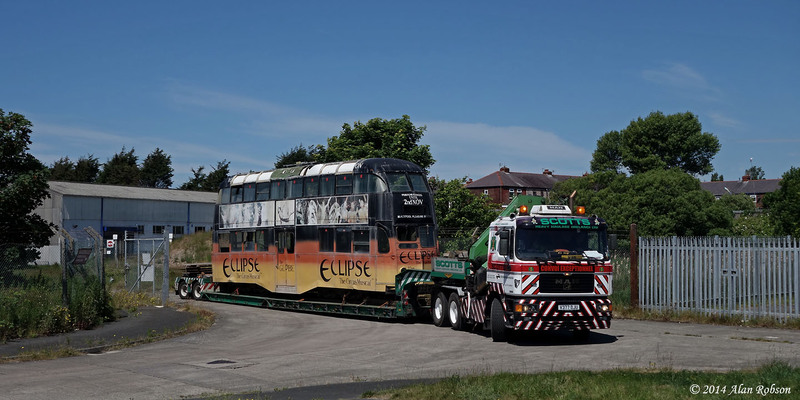 The tram, with its bogies that were all askew, first had to be dragged into position to be lined up with Scotts trailer, this was achieved by Blackpool Transport's Unimog pulling the tram away from the yard perimeter fence and straightening the bogies. 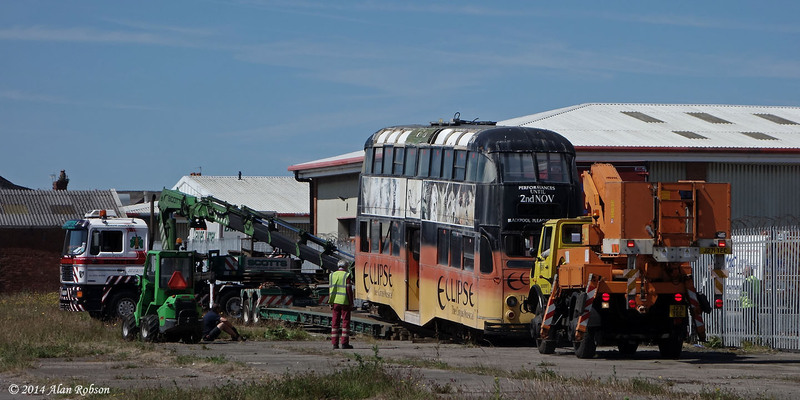 Unfortunately when 704 was halfway up the rail ramp, it was found that Unimog 939 had pulled it slightly too far into the yard, the problem was resolved by using a heavy duty recovery vehicle, owned by Fylde Motor Company, winching 704 back towards the fence again, with the cable running through the fence into the recovery company's yard, which was conveniently located the other side of the fence! 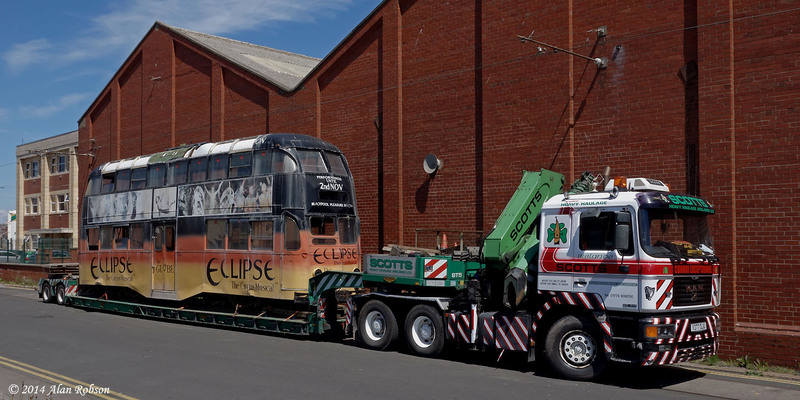 After the protracted loading procedure, due to problems lining the tram and bogies up, Scotts transported 704 to Blundell Street without further incident. 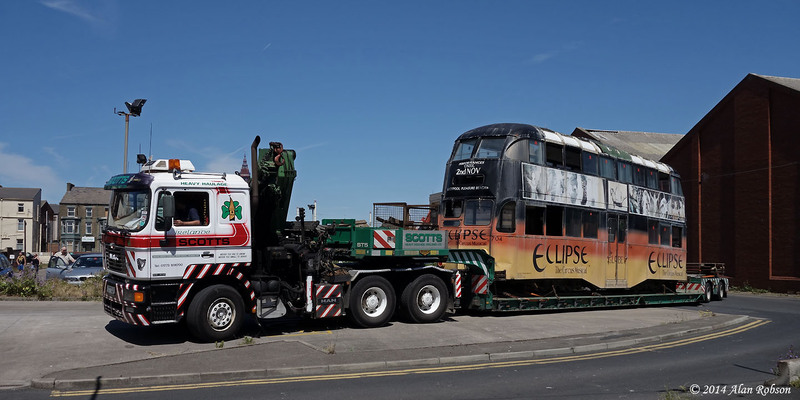 The tram was pulled off Scotts low loader using Unimog 939, unusually requiring its rail wheels to be lowered first so that it could travel part way up the rail ramp to connect the extended drawbar to 704. 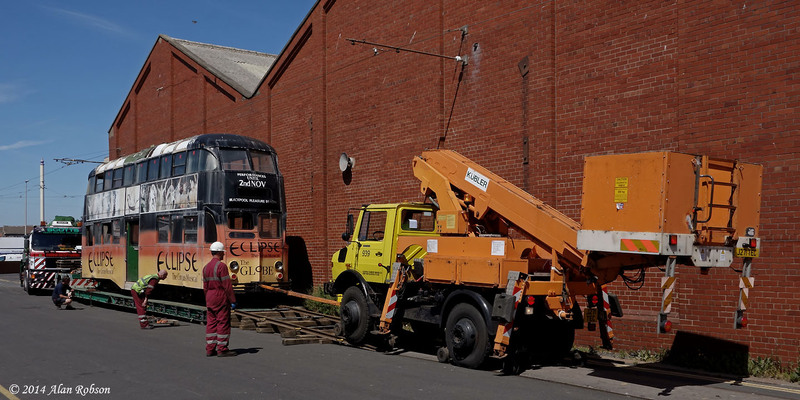 The Unimog was then used to tow and propel 704 into Rigby Road depot, and the tram was coincidentally stabled on the road next to open top Balloon 706 Princess Alice. 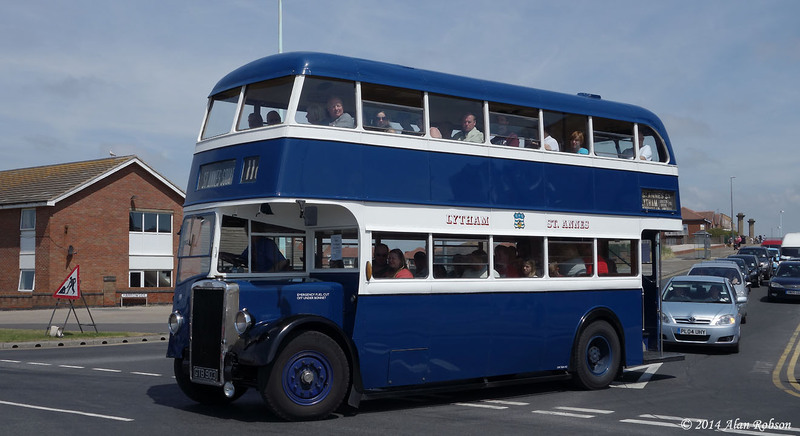 During the Totally Transport event on 22nd June, the Lancastrian Transport Trust operated a free heritage bus service. 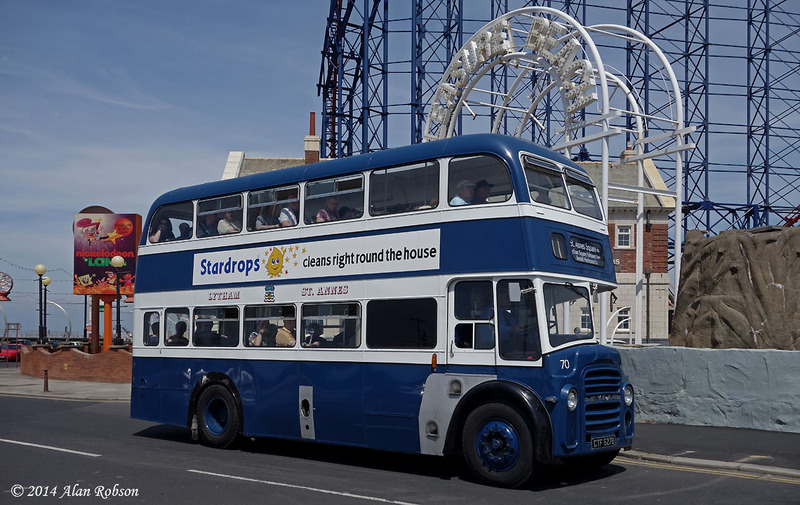 The buses used throughout the day were 1946 Lytham Leyland PD1 No19, 1968 Blackpool Leyland PD3 No 529 and 1964 Lytham Leyand PD2 No 70. 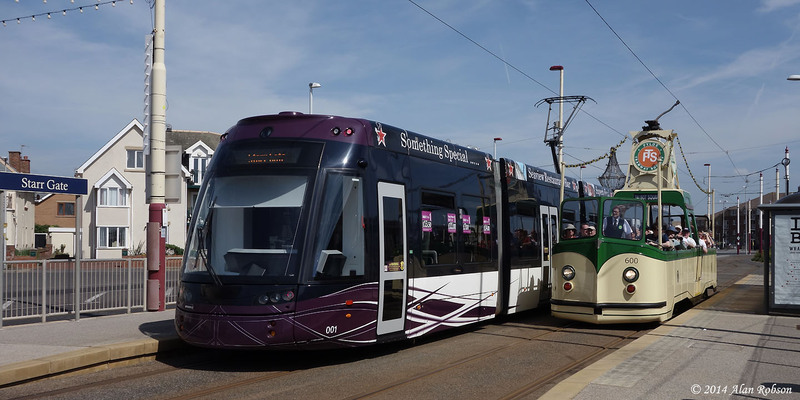 The free bus service started from the northern end of the Totally Transport event, opposite The Star pub, and departed approximately every 15 minutes or on demand, running a circular route past the airport and back. 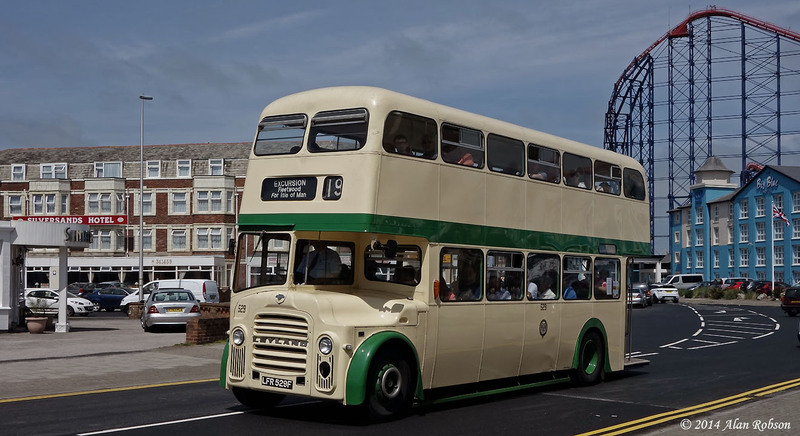 Routemaster RML887 was also in use on the Seafront 12 promenade service operated by Oakwood Travel. 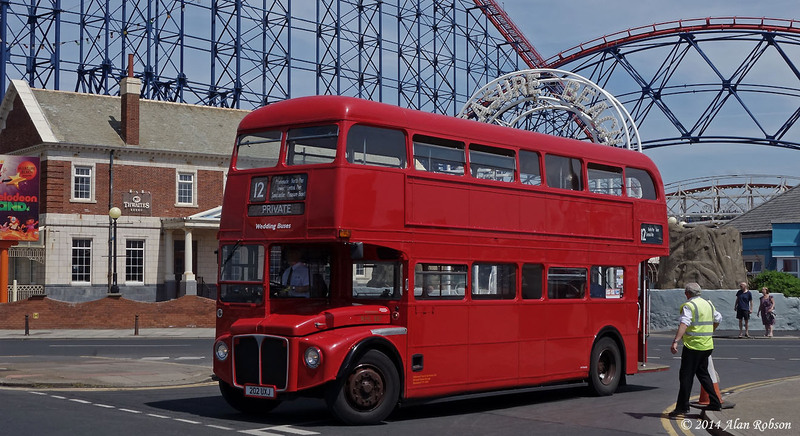 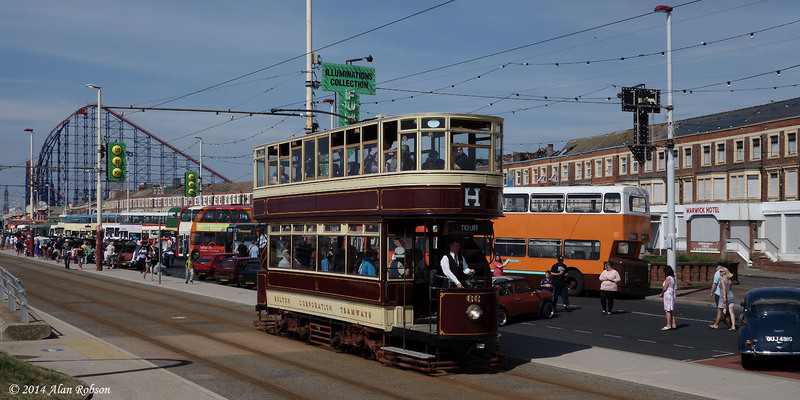 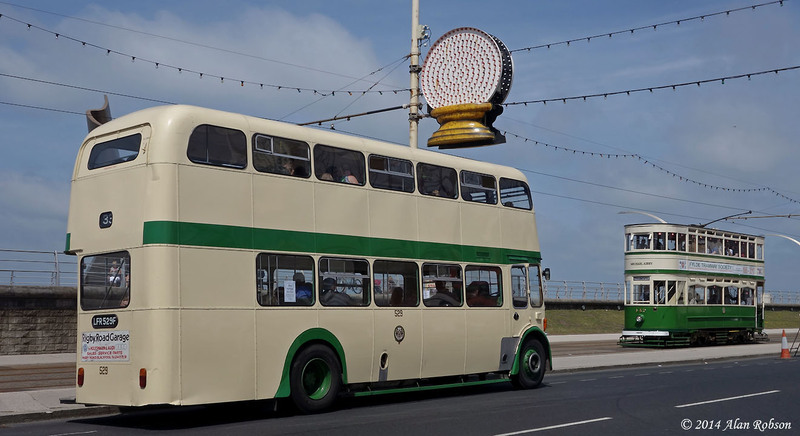 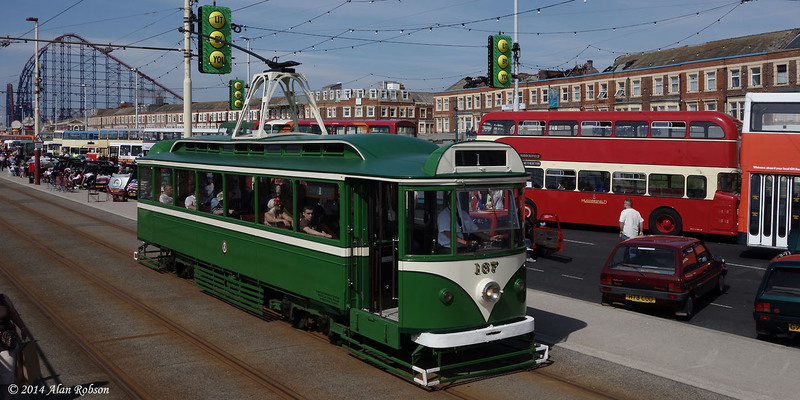 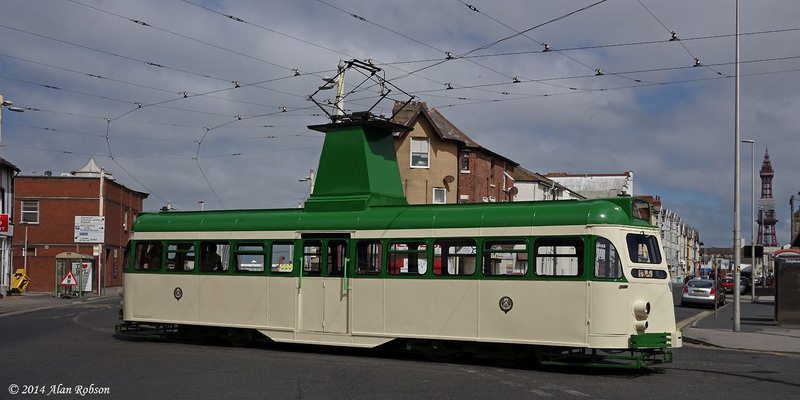 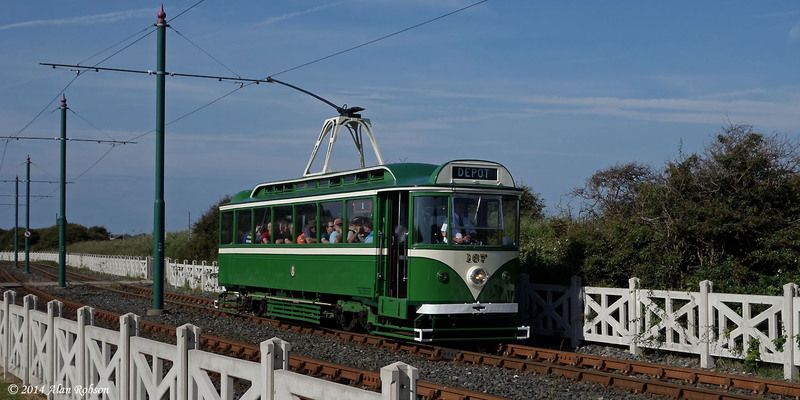 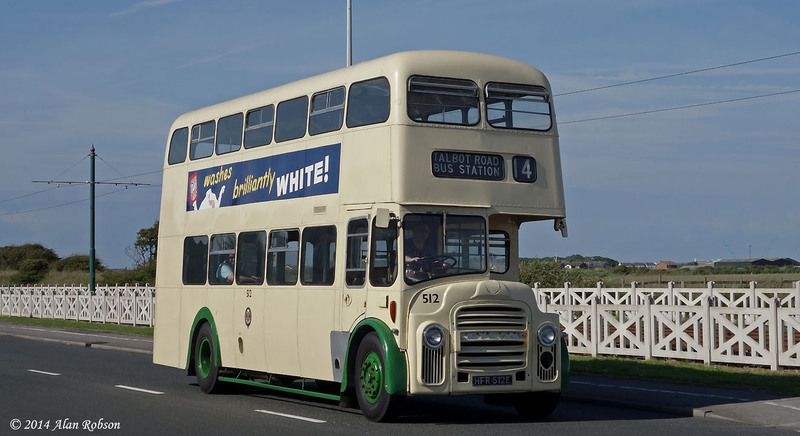 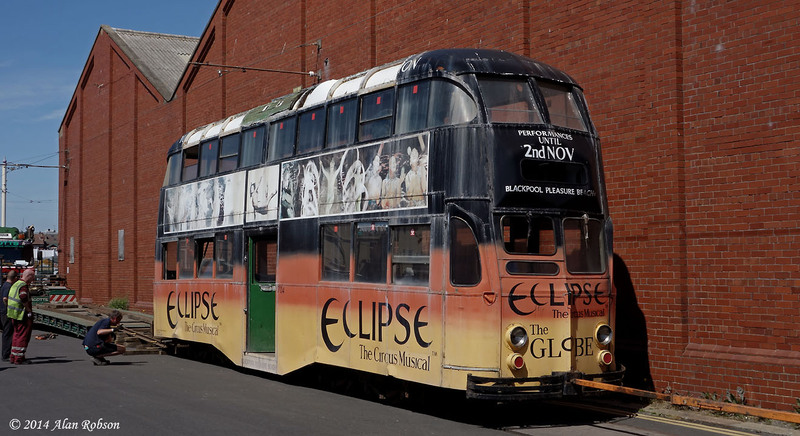 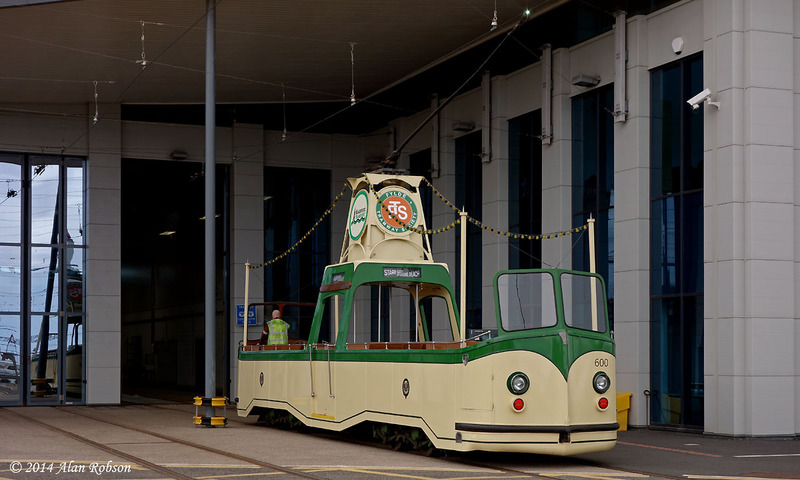 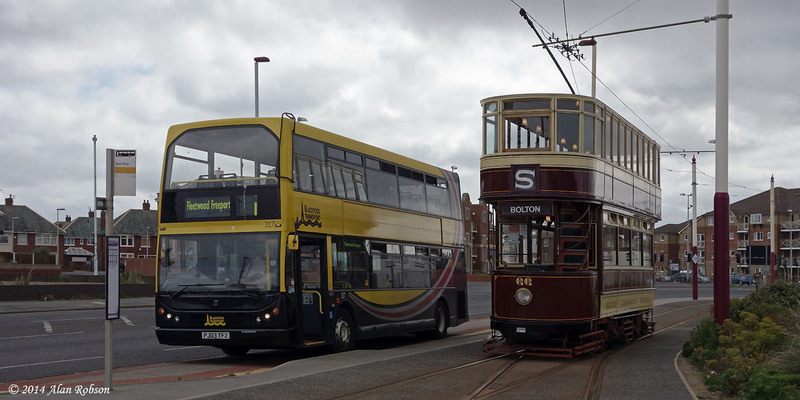 Another Blackpool Leyland PD3, No 512, was seen about during the day, and was driven to Fleetwood Ferry during the afternoon so that it could be photographed alongside Pantograph Car 167 when it operated the tour through to Fleetwood. 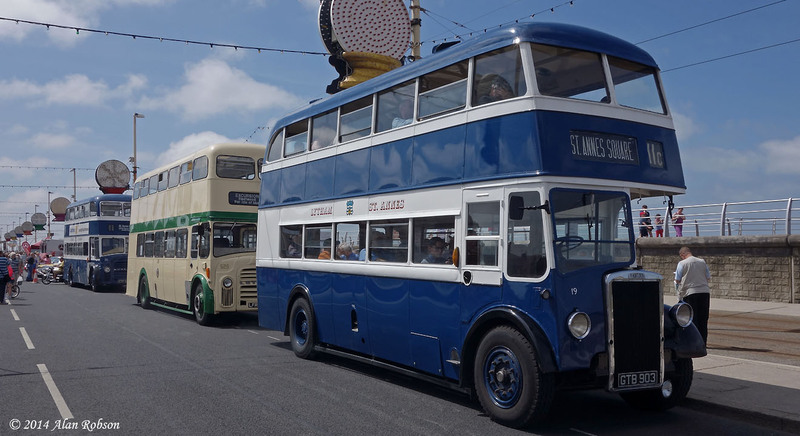 Sunday 22nd June saw the 10th Totally Transport event taking place on New South Promenade in Blackpool. 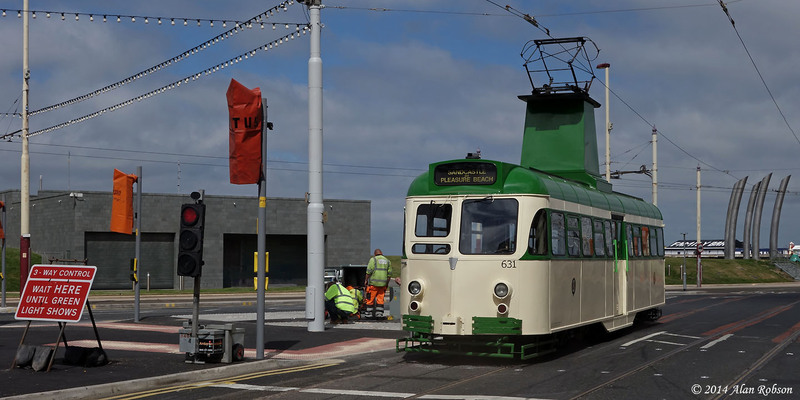 One of the highlights at this years event was the operation of the Heritage Tram Tours all the way to Starr Gate, passing all the participating preserved vehicles along the way. 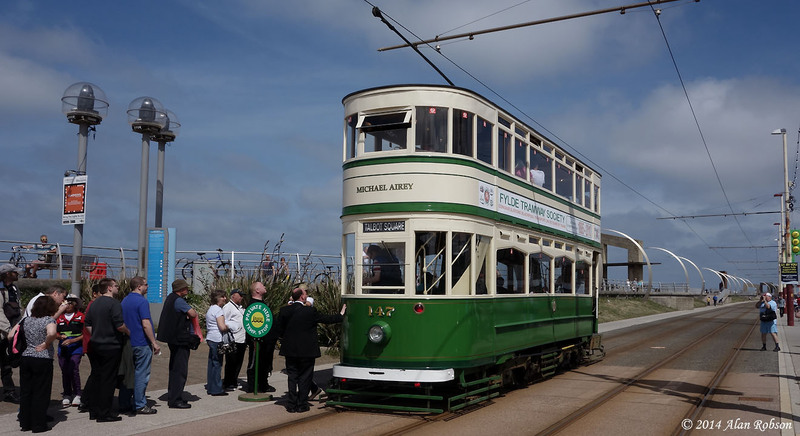 A temporary Heritage Tour stop was positioned opposite the Solaris Centre, and the tours were operated mainly between North Pier and Starr Gate, although passengers were unable to board or alight from the trams at the southerly terminus for operational reasons. 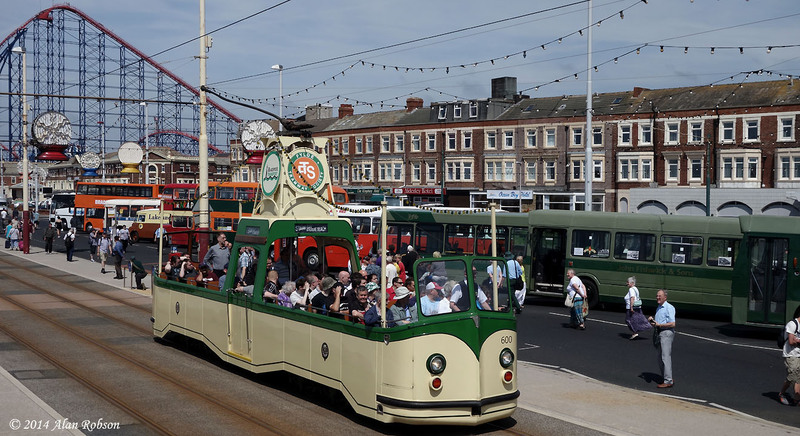 Some runs during the afternoon ran short, only operating between the Pleasure Beach and North Pier due to crew breaks, this had the rather unfortunate effect of there being no heritage trams running between the Pleasure Beach and Starr Gate for long periods during the afternoon. 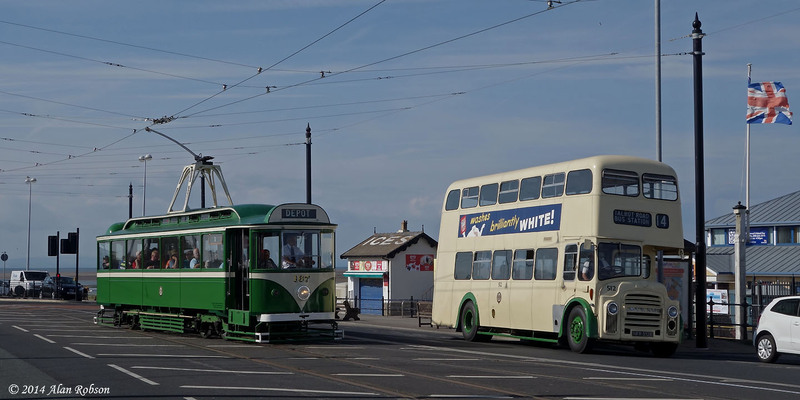 The trams in use during the day were Standard 147 and Boat 230 during the morning, being replaced by Bolton 66 and Boat 600 during the afternoon, with Pantograph 167 operating all day. 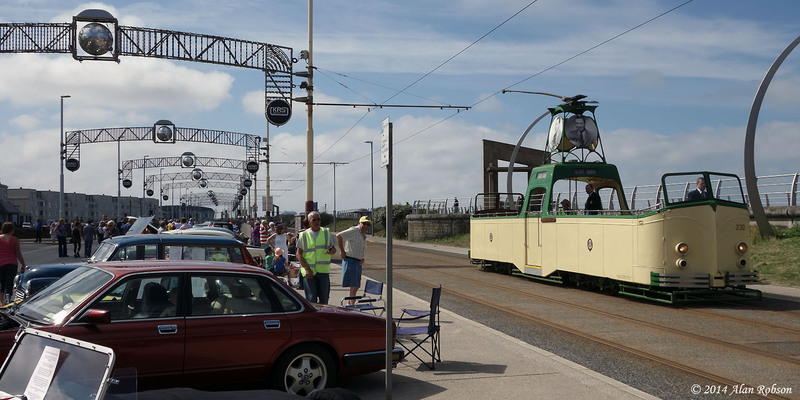 The event was a great success with excellent weather and good loadings on the heritage cars, with the highlight of the day for many being a reserved ticket only run on Pantograph Car 167 from the Solaris Centre, south to Starr Gate then all the way to Fleetwood Ferry before retuning to the Solaris Centre. 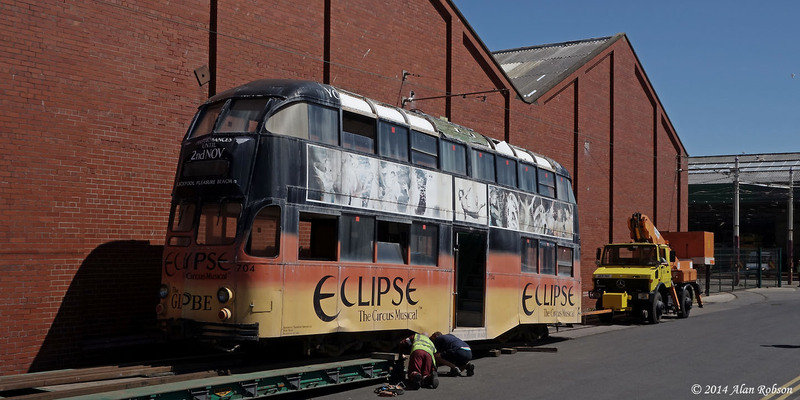 Due to the traffic light work at Manchester Square still not being finished yet, several heritage trams were moved from Rigby Road depot down to Starr Gate on 20th June, in order to be in position for the Heritage Tour operations planned for the Totally Transport event on Sunday June 22nd. 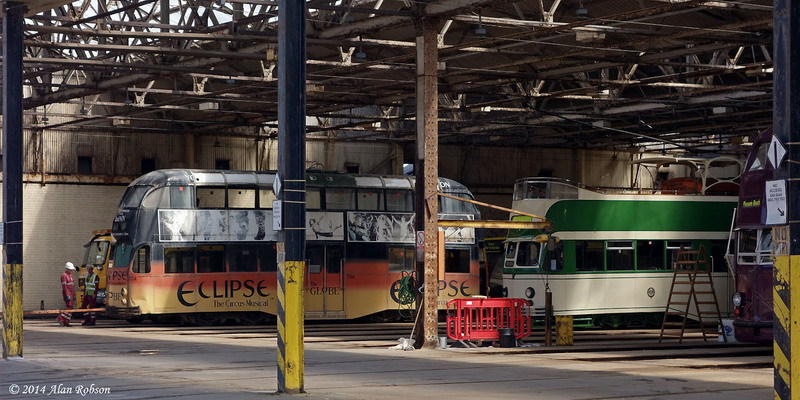 Five trams left Rigby Road depot shortly after 11:00 am, these being 600, 631, 717, 66 & 167. 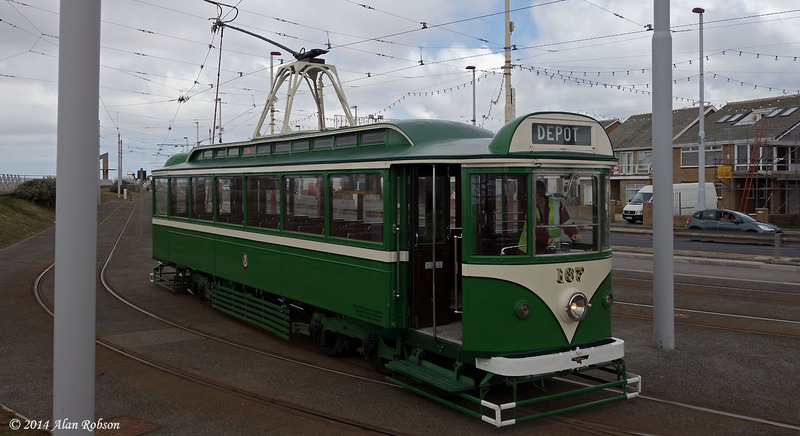 Once the five trams had been safely transferred to Starr Gate, the Western Train was moved north from Starr Gate depot back to Rigby Road, as it will not be required for the event.